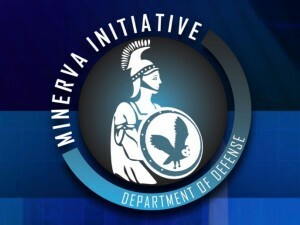 The Department of Defense (Pentagon) has released its Funding Opportunity Announcement (FOA) seeking proposals for the 2016 Minerva Research Initiative awards. Minerva is a defence social science research programme seeking fundamental understanding of the social and cultural forces shaping U.S. strategic interests globally. The programme is overseen by the Office of the Secretary of Defense and conducted in partnership with the Army Research Office, Air Force Office of Scientific Research, and the Office of Naval Research. White papers and full proposals are solicited which propose basic research related to the five topics and associated subtopics listed below. More detailed descriptions of each are intended to provide the proposer a frame of reference. Topics are not mutually exclusive and proposals may consider issues relating to questions, scope, or regions beyond those listed. Proposals will be considered both for single-investigator awards as well as larger, multidisciplinary and multi-institution teams. This competition is open to institutions of higher education (universities), including DoD institutions of higher education and foreign universities. Non-profit institutions and commercial entities are also eligible to compete as collaborators on university-led proposals. Updates and answers to frequently asked questions, as well as links to ongoing Minerva research efforts, are available at the Minerva Research Initiative website.